The League family’s sushi restaurant Off the Hook at 833 Embarcadero Road is now gutted and vacant. Cherise Hansson, the owner of Deep Sea Gallery, which is located in the same building, said her business has been gravely affected by the property falling into despair. Hannson and Travis Leage, who co-own the property, said they plan to demolish the building and replace it with a boutique hotel, restaurant and mixed-retail space. City officials have yet to formally approve the project. Previously, the building was subject to debate over whether then-councilman George Leage had a legal residence. The building is located in the Morro Bay tidelands, and the city’s tidelands grant prohibits residential use of the area. League, however, said he thought his caretaker unit in the restaurant was permitted or grandfathered in. In addition to the Embarcadero property, a hotel could be coming to a location across the street near Centennial Park. 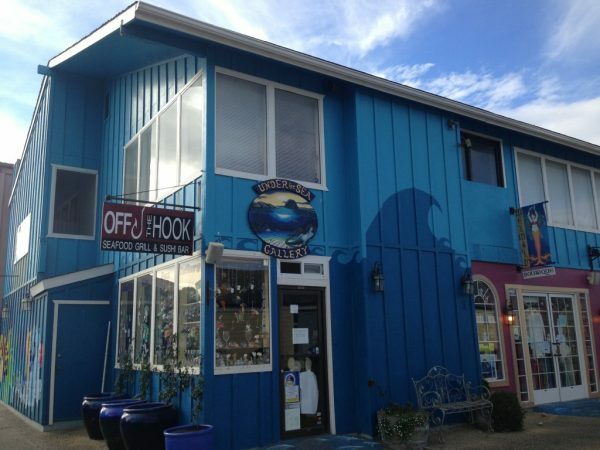 The city of Morro Bay owns a vacant building at 781 Market Avenue, which is slated for development. City Manager Scott Collins said he would like to see a mixed-use project at the location, which would include a hotel. The city plans to ask the developer to provide a new park and possibly a place for events to take place. Will the “special” parking space George hand painted for himself be used by the new development?